On March 8, which happened to be International Women’s Day, Rihanna posted a new outfit on Instagram and Twitter. In her caption she showed support for the beautiful, strong women worldwide trying to make it in this world. Her all black outfit including a few pieces from Balenciaga. Let’s start at the top, literally. 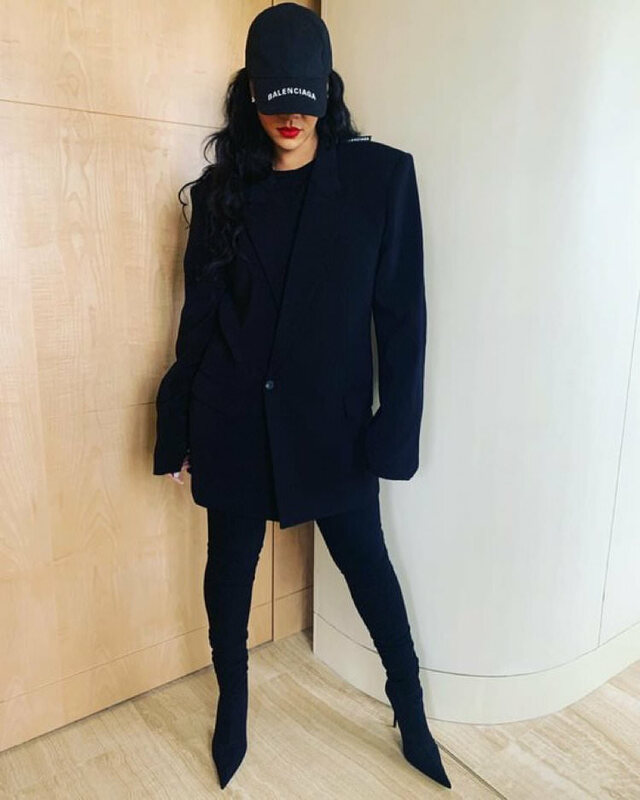 Rih rocked the brand’s black logo-embroidered cap ($450). Just like the green one she wore recently, this hat features eyelet vents around the crown and a velcro strap back. The Balenciaga logo is embroidered in white across the bill. The strong shoulder jackets in the Spring/Summer 2019 collection were definitely eye-catching. The Barbadian beauty sported the black blazer ($2,590) featured in Look 23. 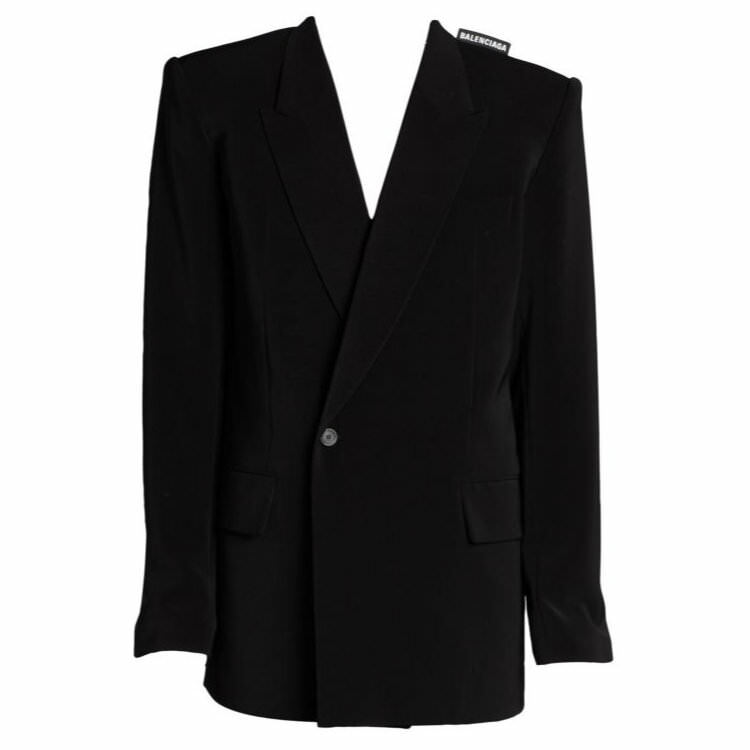 It has a peak lapel, an asymmetric one button fastening and long sleeves. You’ll also notice a stand up logo on the left shoulder. These Knife ankle boots ($1,290) have been her favourites for a couple years now. 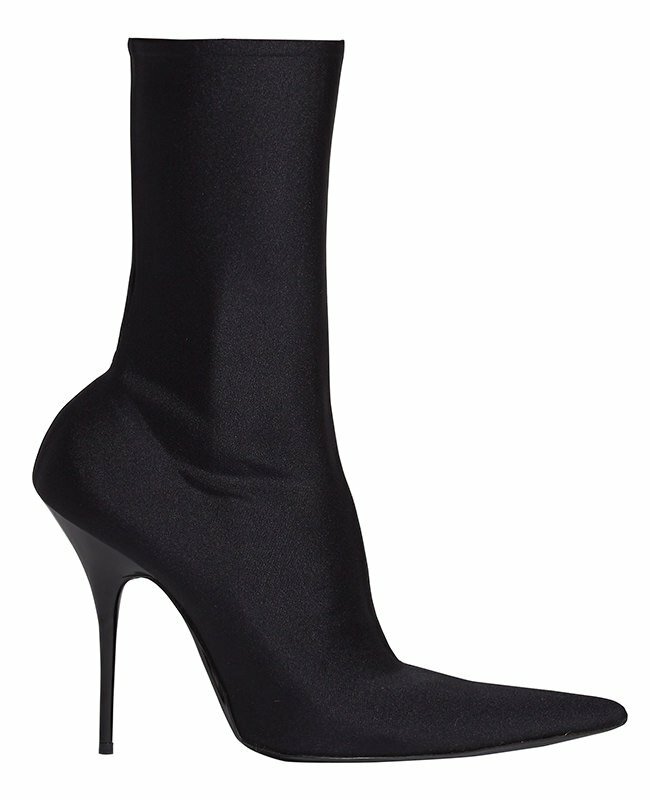 The stretchy shoes feature a pointed toe, covered stiletto and leather sole.